We play bingo, AND we make cute cards! What could be better than that?? Here's a peak at the awesome prizes that were given away to our Bingo winners throughout the night. Just look at all of that fun product from our new Holiday Catalog :). Everyone always loves to win FREE product! I always like to give a little something to each person that attends. This time, everyone received a sampler pack of the Quilted Christmas Designer Series Paper and a cute stocking (filled with candy!) that I made with the Trim Your Stocking Thinlits and the Tags & Trimmings Stamp Set. 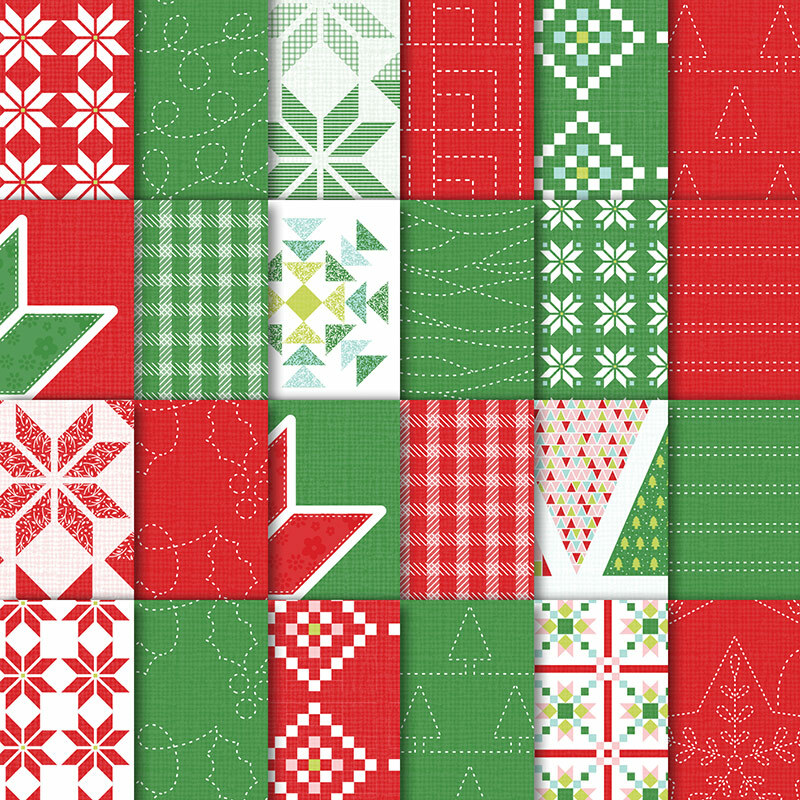 The stocking also features some of the Quilted Christmas DSP (that cute plaid paper!) on the top, toe and heal of the stocking. You can buy the stamp set and thinlits separately, or save 10% when you buy them in the bundle! I got that cute stocking idea from a post on Erica Cerwin's Pink Buckaroo Design's blog - she makes the cutest projects!! And... 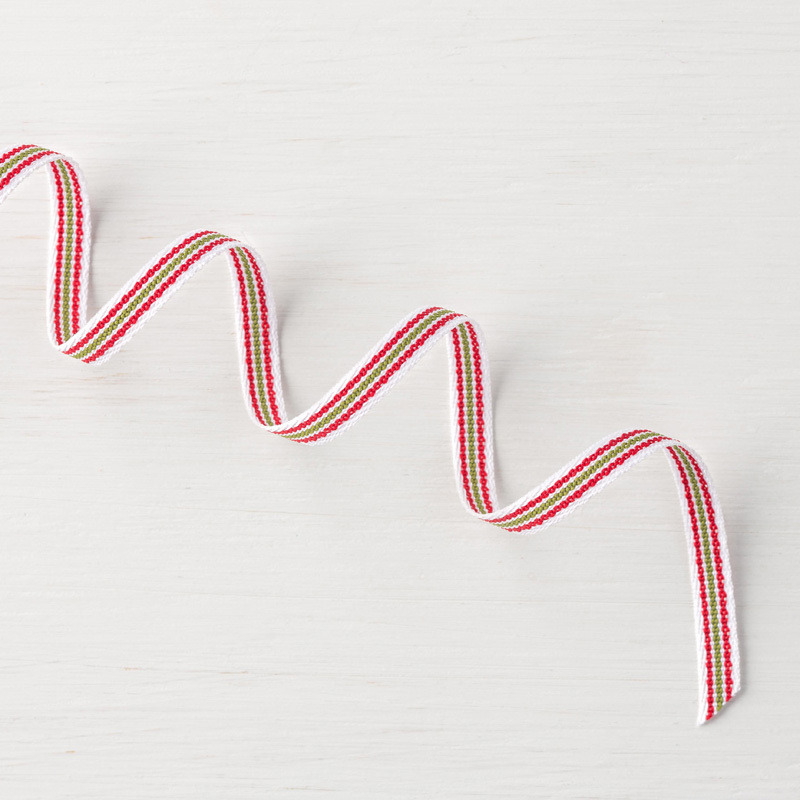 I tied some of my favorite ribbon, the Quilted Xmas Ribbon, around the Designer Series Paper - I just love the stripes on that ribbon! 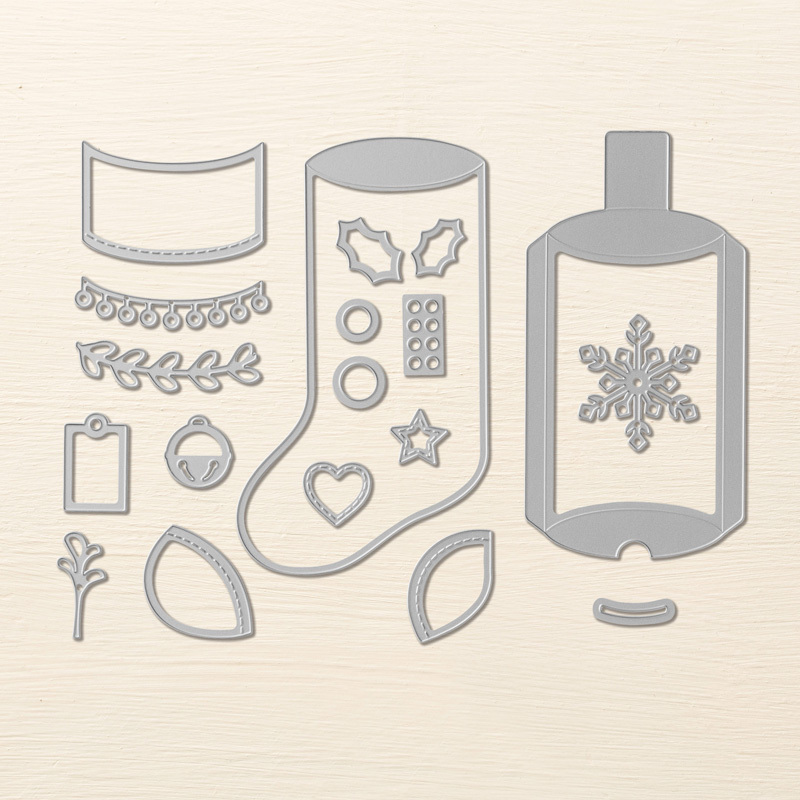 Check out all of the details on this gorgeous Holiday card here! Check back for more details on this card soon! Each person also received a copy of our latest Holiday catalog, as well as a coupon off an order that night! I meant to take pics of people playing bingo and doing their make-n-takes, but I forgot! I get too excited with all of the events of the evening - someday I'm going to remember to take those pictures!! I hope you'll consider joining us for our next Stampin' Bingo Night at the Gathering Inkspiration Stamp Studio. 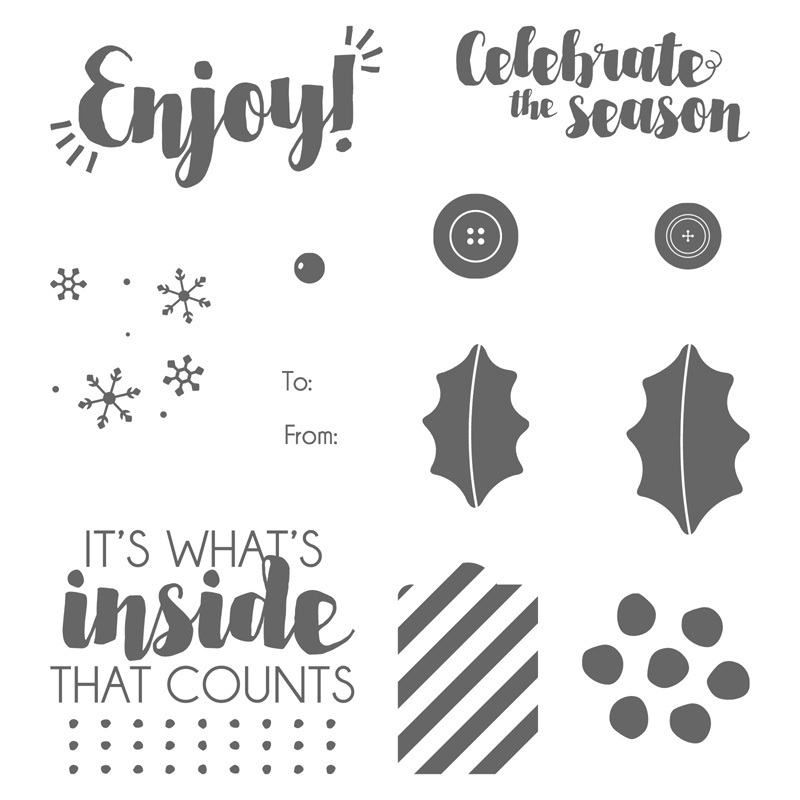 I do a Stampin' Bingo Night with the release of each new catalog. So, watch for more details on our next Stampin' Bingo Night in January (with the release of our Occasions and Sale-a-Bration Catalogs). It's a great way to get some fun, new product and have a great night out, too!! I hope you enjoyed these projects and treats today!! See all of those details here.